Mailbox Monday is a meme originally from Marcia's Mailbox and is being hosted by the Amazing Audra @ Unabridged Chick this February. 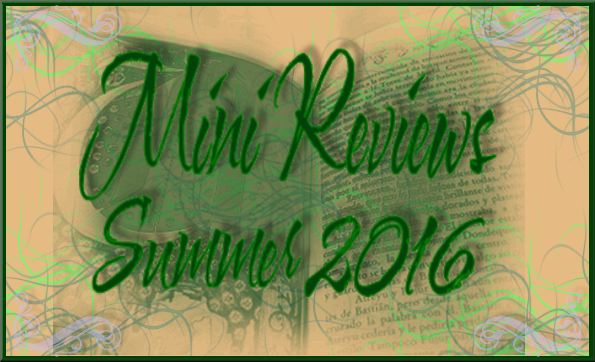 The Story Siren also hosts IMM, so we can find some cool YA titles there as well. It was 1501. England had been ravaged for decades by conspiracy, violence, murders, coups and countercoups. Through luck, guile and ruthlessness, Henry VII, the first of the Tudor kings, had clambered to the top of the heap--a fugitive with a flimsy claim to England's throne. For many he remained a usurper, a false king. But Henry had a crucial asset: his queen and their children, the living embodiment of his hoped-for dynasty. Queen Elizabeth was a member of the House of York. Henry himself was from the House of Lancaster, so between them they united the warring parties that had fought the bloody century-long War of the Roses. Now their older son, Arthur, was about to marry a Spanish princess. On a cold November day sixteen-year-old Catherine of Aragon arrived in London for a wedding that would mark a triumphal moment in Henry's reign. 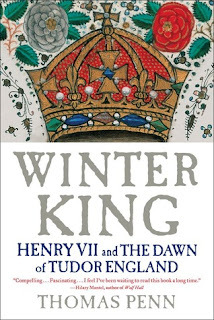 In this remarkable book, Thomas Penn re-creates the story of the tragic, magnetic Henry VII--a controlling, paranoid, avaricious monarch who was entering the most perilous years of his long reign. Rich with drama and insight, Winter King is an astonishing story of pageantry, treachery, intrigue and incident--and the fraught, dangerous birth of Tudor England. Tormented by his wife's apparent demise, Edmund Merrick sails away to drown his sorrows--only to find himself trapped in the dark world of a demented Frenchman. When his mind clears from its rum-induced haze, will Edmund find the will to escape? 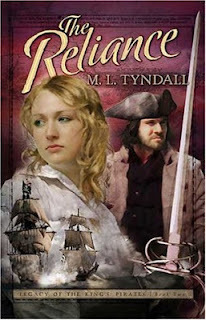 Seemingly abandoned by her husband, Charlisse is thrown into the clutches of the vengeful pirate Kent. Will she be swept away by the undertow of treachery and despair? Can Edmund and Charlisse steer their way to the faith-filled haven they so desperately seek, or will they ultimately lose their love and lives to the sea? 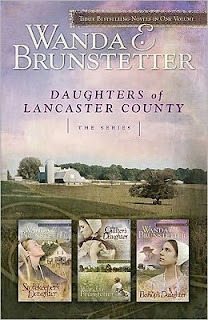 Daughters of Lancaster County omnibus by Wanda Brunstetter which includes The Storekeeper's Daughter/The Quilter's Daughter/The Bishop's Daughter (Daughters of Lancaster County 1-3). I am curious to see how I feel about this one, even though the average Goodreads rating is 4.29, actual reviews are kinda all over the place on this one. But I got it for $3 so it's worth a chance. There are great images that are fantastic fun for the five year old, yet there is text hidden amongst the folds that is suitable for the older reader like my eleven year old daughter. An ingenious series of three-dimensional spreads with fold-outs and narrative booklets, IN THE BEGINNING shows how the timeless narratives of the Book of Genesis have inspired artists for thousands of years and continue to do so today. 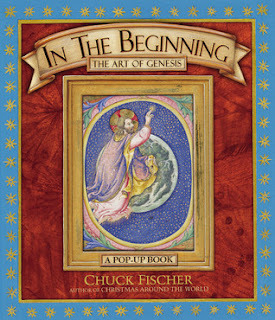 This spectacular gift book features Fischer's original artwork on intricate pop-ups created in collaboration with paper engineer Bruce Foster, which represent the classic stories from the first chapter of the Bible. With spreads that range from a medieval-inspired Garden of Eden to an stunningly tall tower of Babel to a magnificent diorama depicting Jacob's dream of a stairway to Heaven, IN THE BEGINNING is destined to become a treasured keepsake and perennial favorite on every family's shelf. 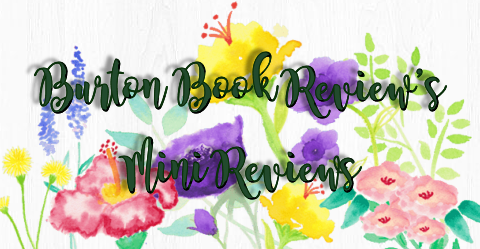 For review I received Draw The Circle by Mark Batterson, and it is a great companion to my bible study and gives me more things to journal about spiritually!! 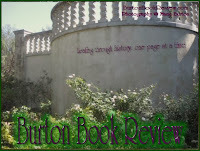 I read Parry's last title, The Arrow Chest, (read my review!) which was a wonderful story and so I am eagerly awaiting this one! England 1745. Matthew Wildish, poet and Master Wig-maker to the great and the good of London society, is a self-confessed libertine whose ambition is to enjoy life to the full. Yet already events beyond his control have begun to impinge upon his dissolute life. The heart of the nation is beating to the drums of war, and thousands of vengeful Jacobite soldiers from Scotland and France are about to converge upon the capital. A magical journey into the fabulous, libidinous world of Georgian England, in which reality and fantasy, romance and the occult combine in a story of epic intensity and poetic beauty. The top two titles in the image above are from Mary Lu Tyndall (for that collecting spree), the bottom two are of the Mercy Falls Series by Colleen Coble. A mistrustful young lady desperate to save her family and a man burdened by guilt who longs to please his parents are both caught in the brink of a war that could change the course of history forever. Can they work together to bring liberty to their fledgling country? Addie Sullivan leads a quiet life in a northern California lighthouse. She mourns the death of her father and endures her mother's bitterness, until the night a storm brings an injured stranger and a dark secret to her home. The man insists she is not who she thinks she is, but rather "Julia Eaton"-the child long lost and feared dead by her wealthy family. Seizing the chance to be reunited with the Eatons, Addie leaves her lighthouse home but decides to keep her true identity a secret until they can unravel the mystery. It is the dawn of a new century and Olivia Stewart is heiress to an empire. Her family numbers among the Four Hundred--those considered the wealthiest and most distinguished in America. Unfortunately their wealth has nearly disappeared, and now their security rests upon the Stewart daughters marrying well. Olivia's sister, Eleanor, was engaged to Harrison Bennett, one of the nation's wealthiest men, but has since died. Now the pressure is on Olivia to take her place, despite her suspicions about Eleanor's fiance. Using her family's long-forgotten English title, Olivia travels to Mercy Falls, California, as Lady Devonworth, hoping to learn more before committing to marriage. There she finds that Eleanor's death was no accident. And Harrison is not the man she thought he would be. When Mercy Falls holds a charity masquerade ball to raise funds for the new lighthouse, secrets--and truths long hidden--will be revealed. But can Harrison really love Olivia when he finds her true identity? Can she live with the repercussions of failing her family, or will she finally realize that nothing--not money, family, or romance--will ever compare to God's unconditional love? 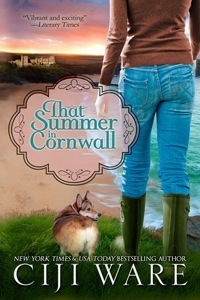 That Summer in Cornwall is a contemporary, stand-alone sequel to Ciji Ware’s bestselling “time-slip” novel A Cottage by the Sea. WHICH I LOVED, here is my review so I snapped this kindle cheapie up the moment I saw it. .99¢! Meredith Champlin unexpectedly finds herself the legal guardian of a child she’s never met: Janet Barton Stowe, an unruly eleven-year-old “Beverly Hills brat,” whose mother – Meredith’s cousin-- has died in a private plane crash. At the urging of the child’s Anglo-American aunt, Lady Blythe Barton-Teague, Meredith and her Welsh Corgi decamp from Wyoming to spend the summer at Barton Hall, a shabby-chic castle perched on the remote cliffs of Cornwall, England. Taming the wild child proves a handful, but Meredith’s summer escape gets even more complicated when former British Army Lieutenant Sebastian Pryce, veteran of a bomb-sniffing K-9 squad in Afghanistan, proposes they establish the Barton Hall Canine Obedience Academy and that she join him on the Cornwall Search and Rescue Team. She wonders whether their instant attraction is an unexpected blessing or the prelude to another heartbreak like the one she left behind in the Rocky Mountains. Even with an assist from a novice search dog named T-Rex, the odds seem long that three months in the land of Meredith’s Cornish ancestors can transform her troubled ward into a happier child, heal the wounds suffered by her soldier-turned-rescuer, and save the Barton-Teague estate from pending insolvency. 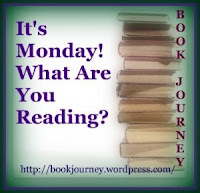 Last week I posted a review for Laurie Alice Eakes' latest in her Daughters of Bainbridge series, Flight of Fancy, which you can read here. It was an enjoyable story and I love Eakes' writing style! I am definitely going to look for book three in the series, and I have collected several of Eakes' previous titles based on other books of hers that I have read. You ought to look her up, all of her Goodreads ratings are averaging four stars. This past week I've been reading a literary fiction novel disguised as a historical novel (In Times of Fading Light: A Novel by Eugen Ruge from last week's mailbox), but it really wasn't as eventful as I'd expected it to be. It was more of an analyzing a family dynamic type thing which you really would have to be in the mood for, and since it was set in Germany against Socialism versus Democracy views I was just hoping for a bit more. Perhaps it was lost in translation, but yet.. I still enjoyed it for what it was, though I really do not think it was appropriate for the Historical Novel Society since so much of it was set in 1989, 1991 and 2001. So this makes book three in a row that I've been hoping for something more. So after that one I took a mini break from literary anything other than prayers. And then I started reading Queen's Gambit by Elizabeth Fremantle because so many others are raving about it.. and a few pages in I was like, wow, I hope this tone keeps up with the rest of the book, because I was invested from page one. This brilliant historical fiction debut takes you into the heart of the Tudor court and the life and loves of the clever, charismatic Katherine Parr, Henry VIII’s sixth and last wife. 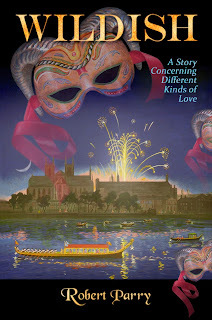 Widowed for the second time aged thirty-one, Katherine Parr finds she has fallen deeply for the dashing courtier Thomas Seymour and hopes at last to marry for love. However, obliged to return to court, she attracts the attentions of another: the ailing, egotistical and dangerously powerful monarch Henry VIII, who dispatches his love rival, Seymour, to the continent. No one is in a position to refuse a royal proposal so, haunted by the fates of his previous wives—two executions; two enforced annulments; one death in childbirth—Katherine is obliged to wed Henry Tudor and become his sixth queen. Committed to religious reform, Katherine must draw upon all her instincts to navigate the treachery of the court, drawing a tight circle of women around her including her stepdaughter Meg, traumatized by events from their past that are shrouded in secrecy, and their loyal servant Dot, who knows and sees more than she understands. But with the Catholic faction on the rise once more, reformers being burned for heresy, and those close to the king vying for position in the new regime, Katherine’s survival seems unlikely. Yet as she treads the razor’s edge of court intrigue, she never quite gives up on love. 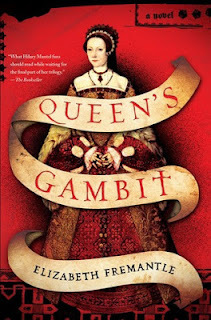 A must-read for fans of Philippa Gregory and Alison Weir, Queen’s Gambit brings to life the remarkable story of Katherine Parr as she battles with those intent on destroying her, but also with her own heart. Yeah I know, it's Tudor and stick a fork in me, but this writing is starting off excellent. And since I've been doing lots of bible reading that's pretty much where I am, as I am also reading the Draw the Circle prayer book mentioned above and doing some Lent devotions and extra church activities for Lent as well as preparing my daughter for first communion. And composing this huge blog post. I just received a huge box of goodies - bookish goodies, of course- so next week could be another HUGE post but I'm going to have to break it up a bit. It will certainly be worth spreading it out. 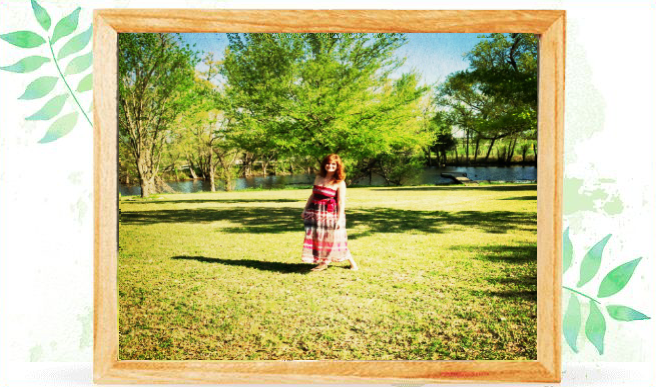 I have already composed a post devoted to one of the authors, which go live later on this week. Here's a funny that swamped book bloggers like me would appreciate, after they take a swig of their favorite liquor.. got this message in my goodreads box, the same one that says "Please don't contact me for review requests"..
haha funny haha. Sorry I get cranky when people totally ignore the one request I make.